PALMDALE —The city of Palmdale will hold a public workshop on Monday to discuss the draft Active Transportation Program. The workshop will be held from 7 to 8 p.m. Monday, July 9, at the Chimbole Cultural Center, located at 38350 Sierra Highway in Palmdale. The Active Transportation Program includes a Safe Routes to School Plan, a Bicycle Transportation Plan, a Complete Streets Plan, a Design Toolbox and Funding Resource Guide. The Active Transportation Program seeks to address the community’s need for safe and accessible alternative modes of transportation that benefit the entire community. The draft Active Transportation Program is the product of public outreach meetings over the last few years, including workshops with all schools within the city, Technical Advisory Committee meetings, and other public workshops and open houses. The Workshop will provide information on each of the draft plans, including how they were developed, what they mean for the community, and how the city will use them in the future. 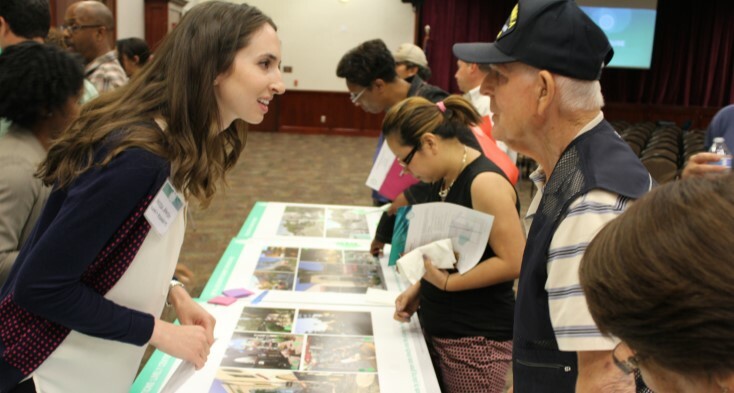 Attendees will be able to provide feedback that can be analyzed and potentially incorporated into the final Active Transportation Plan documents. For more information, contact Mike Behen mbehen@cityofpalmdale.org or visit the Active Transportation Program project website at http://www.cityofpalmdale.org/Projects/ATP. 3 comments for "Community invited to Palmdale’s Active Transportation Program workshop"
As opposed to Lancaster’s mayor, who is flexing the accumulated power of his corrupt political career to just outright punish a local businessman that refused to bend the knee and kiss Lord Rex’s … ermmmm… ring. Yeah, ring. It’s the Lancaster way. You do Rexie’s bidding or you get cut off. Or your character get trashed. Ask Raymond Lee Jennings, Randy Floyd, Esmeralda Jorge, Johnathan Ervin, David Abber, Jim Ledford, Bravery Brewing, GBG’s, Maribel’s, Desert Inn, Ronnie Smith, etc.